What are “backlinks”? Backlinks are links that are linked to your website, they are also knows as inbound links (IBL’s). Depending on the number of backlinks is an positive indication of the popularity or importance of your website. Backlinks are very important for SEO because search engines like Google give more credit to websites that have a good number of quality backlinks, and consider those websites more relevant than others in their results pages for a search query. There has been some debate over the importance of relevant backlinks. Even though backlinks are important, it is not all backlinks that carry weight. What we mean by this is that not any old backlink will increase your traffic. The important thing about backlinks is they must be relevant links. This simply means that the websites that are linking to your site must be about the same topics to let that backlink matter. For example if you have a website about “Finance”, it will be of little use to you if a site about “Sports” links to your website. Finance and Sport are not related to each other. But if you have a website about finance and six other sites are about banking, investment, accounting, or the stock market, it will be relevant links if they link to you, but your website has should cover all these topics. When Google calculates the relevance of a website to a particular keyword, they consider the number of quality inbound links to that website. So it’s important to not be happy with merely getting inbound links, it’s the actual quality of the inbound link that counts. Google acknowledges the content of a website to determine the quality of the link. 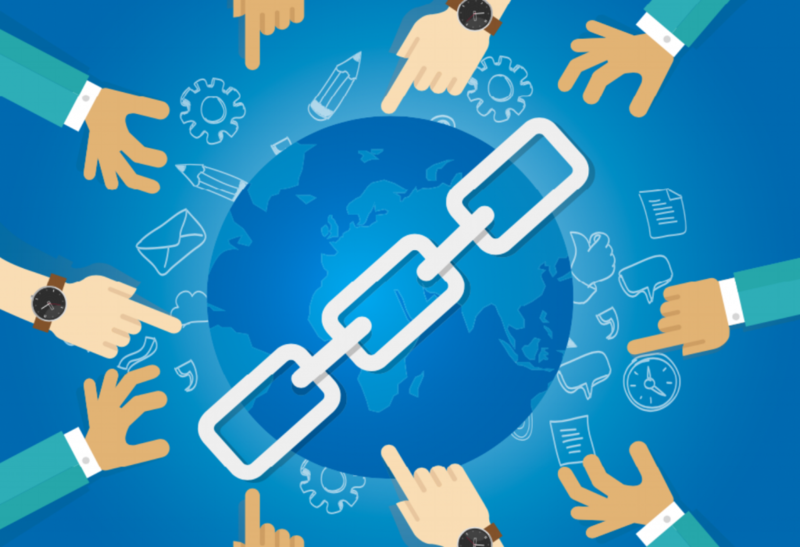 When inbound links to your website come from other websites, and those websites have related content to your website, these links are treated more relevant to your website. If inbound links are discovered on websites with unrelated content, they appear less relevant. The higher the purpose of inbound links, the better their quality. Search engines wants websites to have a level playing field so to speak, and find natural links built slowly over time. While it is easy to wield links on a web page to try to achieve a better ranking, it is more difficult to leverage a search engine with external backlinks from other sites. This is a reason why backlinks factor in so much into a search engine’s algorithm. However recently Google’s criteria for quality inbound links have become even challenging, this is thanks to unscrupulous webmasters trying to achieve inbound links by deception or sneaky tactics (for e.g hidden links, or automatically generated pages whose only purpose is to provide inbound links to websites. These are called link farms, and they are not only disregarded by search engines, but linking to a link farm could get your site banned forever. Please avoid link farms at all costs, because these sites only spam the search engines and are of zero value to visitors. One thing you can do if you want relevant backlinks is to search for websites in your industry or similar, and ask the webmaster for a reciprocal link. Another way if you want a one–way backlink is maybe about something named Adsense, is to write a good quality article about Adsense and put it on a quality article directory with a high page rank. These links are also relevant. Another thing you should not overlook is to pay great attention to your anchor text. The anchor text is that little yellow balloon that pops up when you hover your mouse cursor over a live link. If you place the URL of your backlink, it would look like this title=’Adsense for etc etc etc’ or something close. Just play with it a little, but remember that no method is the best method, it may might work for somebody else, but does not necessarily means it will work for you. Let’s not forget even though we want good rankings and we use different tactics to achieve this, we need to remember why we use backlinks. The reason to have quality backlinks is to entice users to visit to your website. So many clients think we can build websites, and then expect people to find their websites without pointing the way. Of course there are many ways to promote your website and one way is to get the word out there, but another way is to use reciprocal linking. There is much discussion in these last few months about reciprocal linking, they are one of the targets of the search engine’s latest filter. Lots of webmasters do reciprocal link exchanges in order to boost their website’s rankings with the headlong number of inbound links. How it works is in a link exchange, one webmaster puts a link on their website that directs to another webmasters site (and vice versa). Many of these links are not relevant, and are just discounted. So while irrelevant inbound link are ignored, the outbound links still get counted, reducing the relevancy score of many websites. This has caused a lot of websites to drop off the Google radar. You need to very careful with reciprocal links. Google is working on a algorithm that will deal with not only the popularity of the websites they are linked to, but how trustworthy these sites are that you link to from your website. This means that you can get into trouble with the search engine just for linking to a bad egg so to speak. One way to prepare for this change in the search engine algorithm is by being more picky with which we exchange links now. By choosing only relevant websites to link to, and websites that don’t have a lot of outbound links, or websites that don’t practice black-hat SEO techniques, you will have a better chance that reciprocal links won’t be discounted. Some webmasters are smart and have more than one website. These websites can be related, or sometimes they are not. You have to be real careful about interlinking multiple websites on a same IP. If you have six related websites, then a link to each of these websites on a page could damage you, as it may look like to Google that you are trying to do something dodgy. A lot of webmasters tried to manipulate backlinks in this sort of way, and too many links to websites with the same IP address can be referred to as backlink bombing. Interlinking websites doesn’t really help you from a search engine perspective. The only reason you may want to interlink your websites in the first place is to provide your users with extra resources to come to. If this is the case, its okay to give visitors a link to another of your websites, but aim to keep many instances of linking to the same IP address to a minimum, for e.g one or two links on a page here and there won’t hurt. If you follow these basic rules of the search engines and in time you will notice a fair amount of traffic coming to your site. This is why the importance of relevant backlinks is a fantastic way to achieve better SEO ranking. To speak to someone at DesignLab about back linking contact us here.